Viknesh Vijayenthiran September 6, 2012 Comment Now! 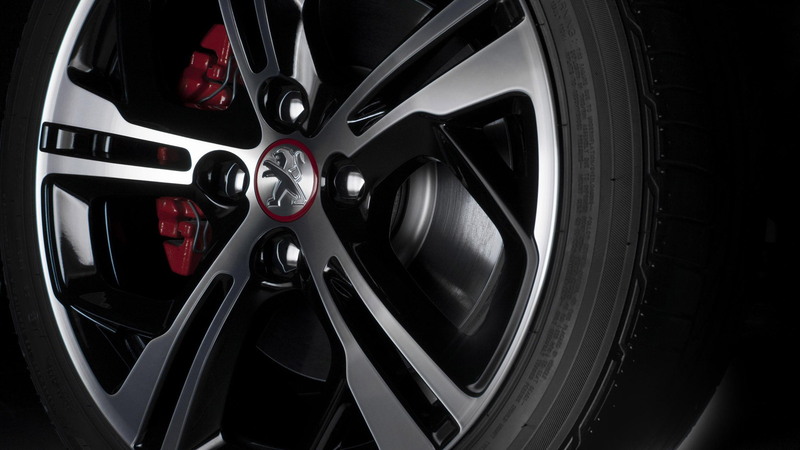 Following its preview in concept form at March’s Geneva Motor Show, French automaker Peugeot has now revealed the production 208 GTi hot hatch that’s set to go on sale overseas in the first half of next year. Like the Volkswagen GTI, which is essentially a hotted-up version of the regular Golf economy car, the new 208 GTi takes the regular Peugeot 208 hatchback and turns things up a notch. Power comes from a turbocharged 1.6-liter four-cylinder engine rated at 197 horsepower and 203 pound-feet of torque. 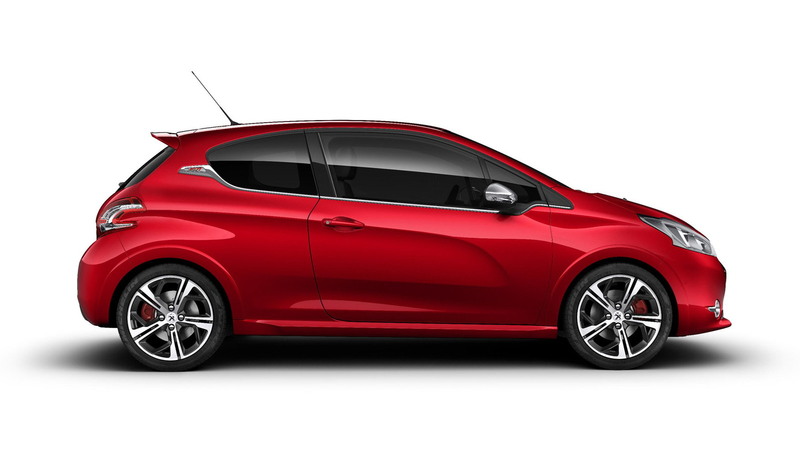 With only around 2,550 pounds to lug around, the tiny mill will see the 208 GTi sprint from 0-60 mph in less than seven seconds. Drive is sent strictly to the front wheels via a six-speed manual transmission. 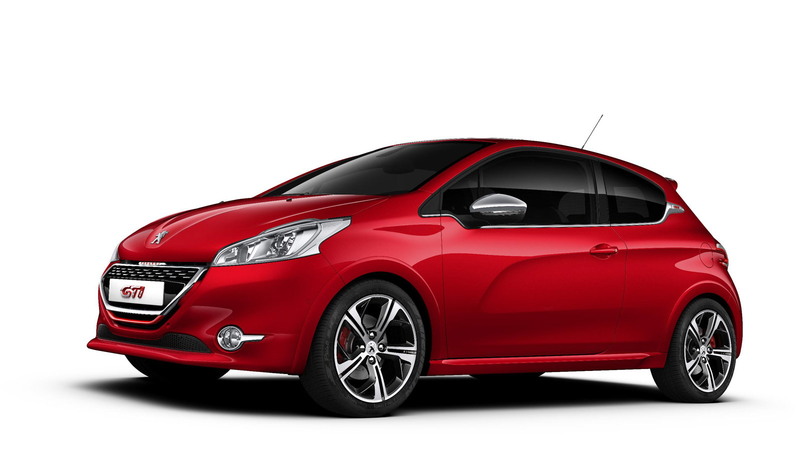 Compared with the regular 208 on which it’s based, the 208 GTi gets a 10-mm wider track at the front and a 20-mm wider track rear, as well as a rear roof spoiler and subtle bodykit. Some specific performance modifications include stiffened springs, thicker anti-roll bars, strengthened crossmembers, ventilated disc brakes and 17-inch wheels fitted with 205/45 tires. 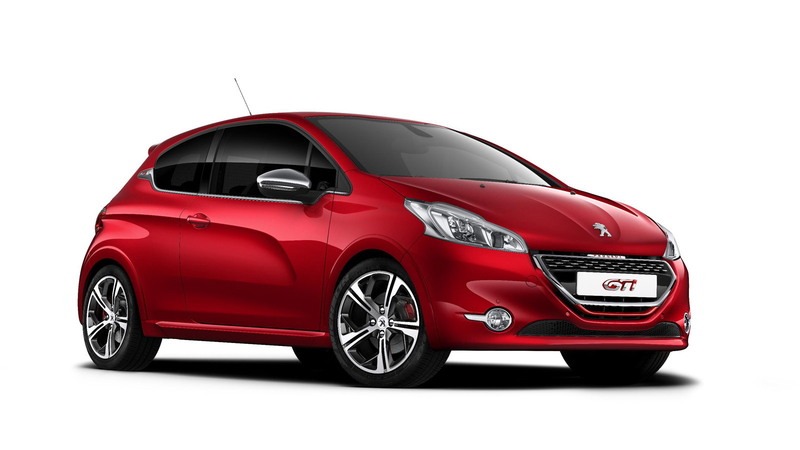 The 208 GTi also sports a few visual touches such as halogen headlamps with LED indicators and daytime running lights. These lamps frame a special 208 grille, which on the GTi gets a glossy black finish with chrome inserts designed to resemble a checkered flag. This kind of attention to detail is featured inside the car as well. The passenger compartment is a real performance fan’s environment, with a sports leather stitched steering wheel and matching gear lever, double stitching in the seats, and modern LED backlighting for the instrument gauges. The seats are trimmed with Nappa leather on the outer section, and cloth in the center with an embossed tartan motif, and a leather head restraint. 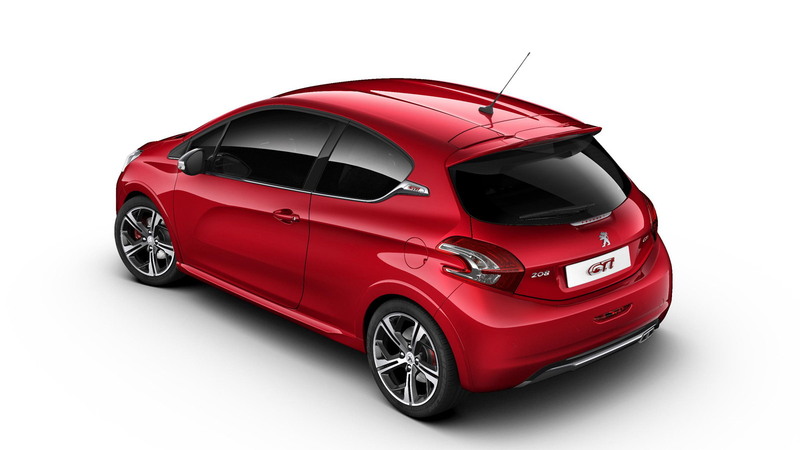 Stay tuned for the new Peugeot 208 GTi's debut at the 2012 Paris Auto Show later this month, full coverage of which you can access via our dedicated show page.